This month I bring you dueling anthologies! From four of today’s finest talents comes an enchanting collection of romantic tales. Set in glamorous Georgian and Regency England, these four stories are filled with myth and mystery, and illustrate the magical, sensual and humorous events that can occur when the worlds of mortals and faeries collide. 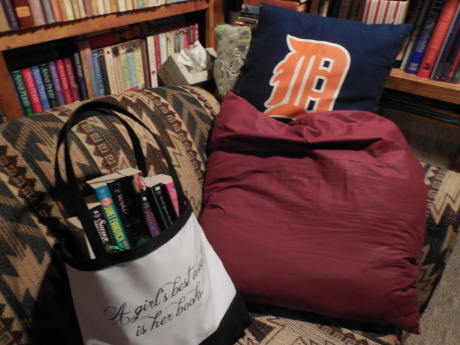 In “The Lord Of Elphindale” by Jo Beverley, Lovely Gwen Forsythe has loved Drew since she was a child. Both are half-faery, but Drew has denied the non-human part of himself for years. In an attempt to forever remove himself from the influence of the magic glen, he plans to marry another woman and move far away. But the faery people have other plans and take steps to again bring Gwen and Drew together. Karen Harbaugh’s “The Faery Braid” tells the story of a beautiful changeling, Rowan; handsome Sir Jonathon Bradford; and the love that Rowan’s still-human heart can’t deny. 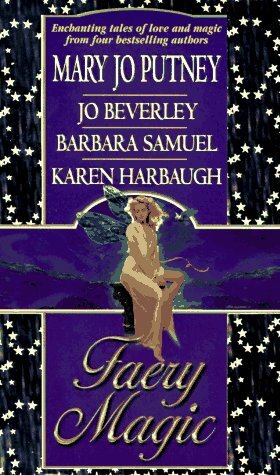 In “The Love Talker” by Barbara Samuel, Faery Lord Galen is cursed, condemned to a life of roaming misty glens and seducing human women to their deaths. But lovely, innocent Moira enchants him, and when he falls in love, the spell is broken. Mary Jo Putney brings readers “Dangerous Gifts”, a tale of true love and dangerous desire. Beautiful Leah and handsome Duncan fall in love, but the Faery Lord Ranulph schemes to seduce the lady. If Ranulph’s plan succeeds, Leah will lose Duncan and everything she loves. Down the Rabbit Hole! Love J.D. 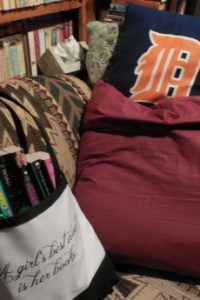 Robb books! Down the Rabbit Hole gets my vote! It is definitely interesting to see UF paired with a Wonderland setting. Thanks for the vote, Lauren! 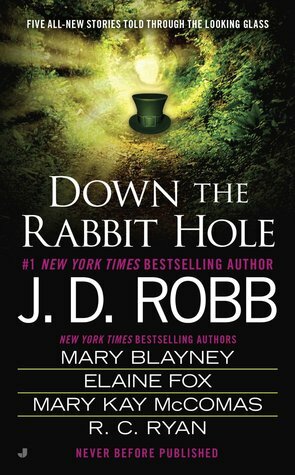 Down the Rabbit Hole – sounds like a fun premise.